After Jesus, Paul is the most significant figure in the history of Christianity. In this fascinating documentary, the beloved star of Agatha Christie's Poirot undertakes an epic personal journey to learn more about the man, his motives, his radical thinking, and his legacy. 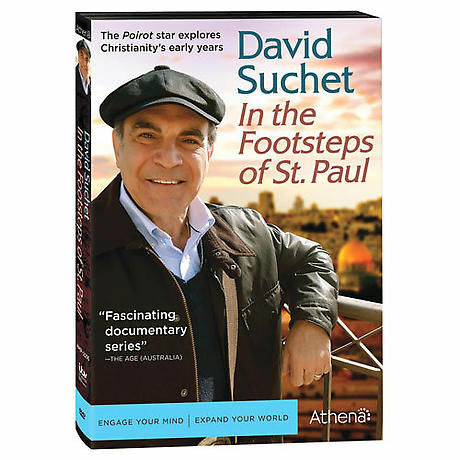 Filmed on location in Israel, Turkey, Greece, Italy, and Malta, Suchet's search "[gives] this Biblical figure flesh, bones and a beating heart" --Express (UK). 2 episodes, 1 3/4 hrs, 1 DVD, SDH, viewer's guide. From Athena.